Recovery is as important to athletic performance as well planned and executed training sessions. Specifically in recovery, athletes should take advantage of an optimized fueling window, which ranges from the conclusion of a workout to up to three hours afterward. What an athlete consumes during this time is important for overall health and recovery. An athlete needs approximately 150 percent of the amount of fluid lost during exercise in order to rehydrate completely, including sodium replacement of approximately 400 to 700 mg per .45kg/1lb of fluid lost. Protein requirements are based on an absolute amount of 20 to 25g and carbohydrate replacement is calculated as approximately 1g/kg of body weight. The proper ratio of carbohydrate to protein is 4:1 and can be accomplished with hydration and food consumption in a number of delicious and easy ways. Stocking your kitchen with a few key foods can lead to a wide range of recovery choices post workout. With research continuing to support a plant-based, high-variety diet, here are three items to have on hand, followed by three ideas for easy recovery fueling. Some say peanut butter is a perfect athlete food. It is delicious, full of good fats and protein, inexpensive and comes in a variety of grinds and mixes. Two tablespoons of creamy peanut butter contain 188 calories, 8g of protein, 6g of carbohydrates and 16g of fat. Spread it on bread, mix it into energy bars or balls, or even scoop it straight from the jar. Peanut butter can be fast action for packing in lost calories and carbohydrates, and the high protein and fat content not only aids in glycogen restocking, but also helps you feel satiated for longer. The second plant-based recovery assistant to have on hand is soy milk. Made from soybeans and generally found with added vitamins and salt, one cup unsweetened soymilk has on average 85 mg of sodium, 300 mg potassium and 7g of protein. Added to smoothies or mixed with a prepackaged recovery drink, soy milk has stood up in research as having superior rehydrating capabilities. It is surmised that the excellent rehydrating properties of both soy milk and cow’s milk are in part due to the high protein content. 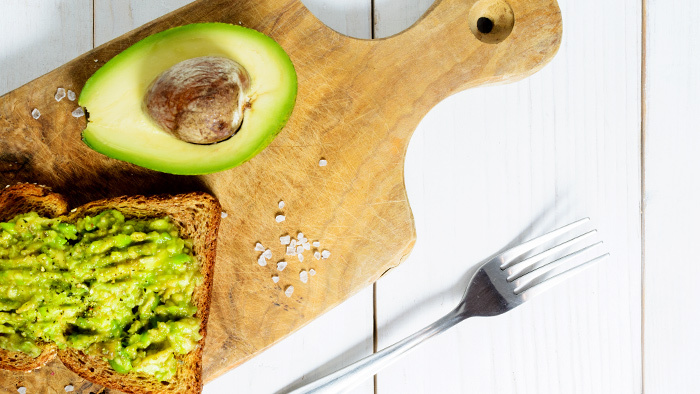 The third plant-based recovery fuel to have on hand is the avocado! This awesome fruit is loaded with a variety of essential nutrients and phytochemicals. Avocados are rich in potassium, which we shed while sweating. They are also an excellent source of fat. 1 cup of sliced avocado comes in at 21g of fat, 10mg of sodium and 2.9g protein. Of note are the 708 mg of potassium. Optionally, pile your avo-toast with greens before eating. Eating greens has been shown to help speed cellular regeneration post exercise. Toast the bread, mash the avocado with a fork directly onto the bread, sprinkle with salt, pepper and red pepper flakes. Here is a smoothie recipe that is vegan, loaded with carbohydrates and fiber and with a jolt of caffeine, which has been shown to improve recovery. Place all ingredients in a blender or Vitamix and mix until well blended. Place rolled oats, ground flax seed, chia seeds, cinnamon, dried dates, peanut butter, vanilla extract, and vanilla protein powder to food processor. Slowly add water to the food process and blend until the mixture sticks together. You may need to add more or less water depending on your energy ball dough. You can try adding a little soy milk here if preferred. Add mixture to a large bowl, using your hands mix in chocolate chips. Form energy bite mixture into 1″ balls. Serve immediately or store in airtight container in refrigerator. Have fun recovering well after tough workouts!